HEB Scunthorpe Scorpions suffered a 28-62 defeat at Leicester last night (Saturday), after Australian star Jake Allen crashed out of the meeting in his opening outing. Allen was leading Heat 4, when he picked up some unwanted drive coming out of the corner of the second bend of the final lap, and he took an awkward-looking fall into the fence. The good news is that he has not broken anything, escaping with a few bumps and bruises. Scunthorpe already looked up against it, and Josh Auty and Stefan Nielsen provided the only two heat winners for Scorpions on a tough evening. Unlike the thriller between the two sides at the Eddie Wright Raceway on Friday night, racing at Leicester was largely a processional affair. But that’s taking nothing away from the Leicester side, who will take some beating around their home circuit. Scorpions’ team manager Dave Peet said: “Jake is battered and bruised and feeling second hand. “His elbow took quite a bang in the crash, so it was common sense for him to pull out of the meeting. He just needs to rest up, because he hasn’t got a meeting for eight days. “Injury rider replacement was a bit restricted for us, because we couldn’t use either Josh Auty or Jason Garrity, so it was an uphill struggle after that. “Leicester haven’t been in our league for a while, so some of the lads had not ridden it recently, and we spent most of the meeting trying to get dialled in, while the track was a bit grippy early on. 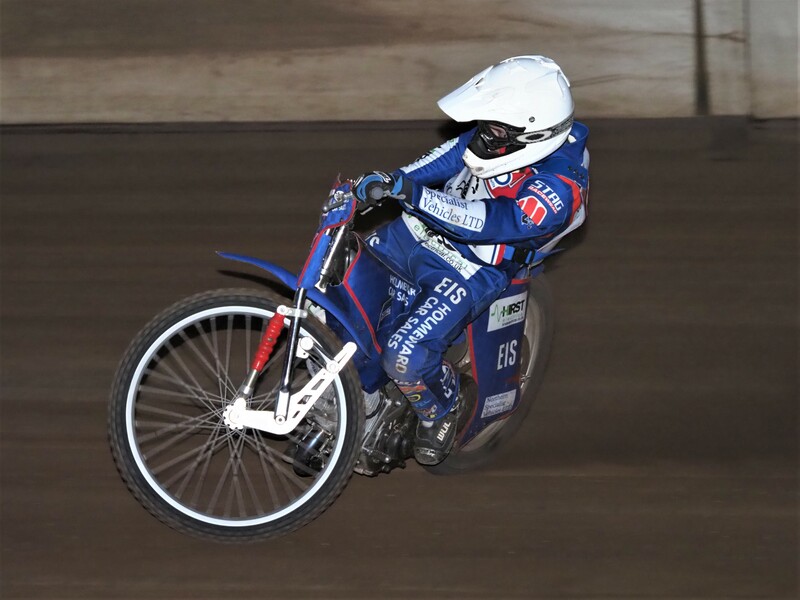 SCUNTHORPE 28: Josh Auty 10, Stefan Nielsen 7+2, Jason Garrity 6, Josh Bailey 5, Jedd List 0, Jake Allen 0, Ryan Kinsley 0.